Buying a home is a dream for many of us, but due to the high prices, only a few can afford to pay such a whopping amount. In such situations, buyers turn to banks for home loans. However, opting for a house loan is not that easy. It is the biggest financial commitment one makes in his/ her life. Home loan EMIs last for at least a decade and add to the burden for a majority. Hence, borrowers usually look out for ways to reduce their home loan interest burden. Opt for a high EMI: Paying a high EMI can help you manage your home loan better. It will help to reduce the loan tenure which means that the total interest that you’re supposed to pay to the lender also goes down. For instance, if you take a home loan of Rs. 60 lakh for 20 years at 9% interest rate, it means that you need to pay an EMI of Rs 53,984 every month. If the tenure is raised to 30 years, you will have to pay an EMI of Rs 48,277 which also means that you need to pay Rs 44.24 lakh more in interest. Thus, by opting to pay more every month, you’re reducing your own financial burden. 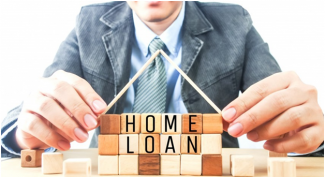 Opt for home loan balance transfer: Under this option, you can transfer the entire outstanding loan amount to another lender at a lower rate of interest and other better terms and conditions. However, you should consider switching, only if you’re getting a good dip in the interest rate. Home loan transfer is preferred in the first few years as the interest component is high in initial years. The loan transferred in the mid or end of the tenure can work against you as you have paid maximum interest part in the initial years. As each time you shift to a different bank, you have to undergo the loan appraisal and underwriting processes, besides technical and legal paperwork, all over again. 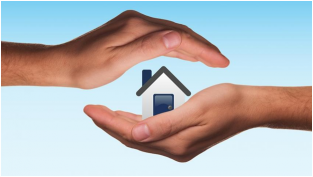 Manage your funds:Now since you have a home loan to pay, it becomes important to manage your finances well. If you have invested in places that are not giving you necessary returns, you need to close all those investments and focus on prepaying your home loan EMIs instead. You can also save money by investing in options that give returns of 12 to 15 percent. This income can help you in prepaying the loan amount. 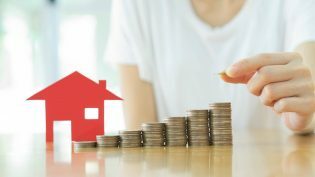 Maximise the down payment: Lenders often ask buyers to pay at least 15-20% as down payment, but to save money in the long run, it is wise to pay a higher possible value as down payment. Making a higher down payment when obtaining a home loan can reduce the principal amount. A lower principal amount means lower interest and EMI payments. Thus, it will help to repay the home loan faster. In case you are struggling with debt-burden, take into account the above-mentioned steps to reduce your home loan interest burden. Also, don’t miss your EMI payments as it can severely affect your credit score.